Having Obsessive Compulsive Disorder my whole life has led to some strange interests and fascinations. For one thing, I’m one of the few fantasy role-playing game enthusiasts who actively loves level grinding for hours on end. It’s a great way to relax, let out stress, and concentrate on listening to audiobooks, podcasts or music, while doing the same monotonous task for hours and growing my characters. Over the years my collection of music has grown from a few CDs to a massive iTunes library of 50+ GB of music. Much of it is legitimately purchased, and much of it has been torrented, although I do make an effort to still support the artists I like, and buy physical copies of albums I love. Since I have so much music, one of my favorite activities, apart from keeping it all meticulously organized (and it is: my library is organized alphabetically by artist, then chronologically by release date, and I have several B-Sides collections for artists like Tori Amos, organized by era, and I try to always have high quality album artwork, as well as properly formatted song and album titles), is making playlists. My enjoyment of making playlists has led to a strange new hobby: creating fake Greatest Hits albums. There are some incredible musicians whose catalogue is not exactly newcomer-friendly. Case in point: Tori Amos. When I discovered Tori, she had at the time released 11 studio albums, along with various collections and EPs, and I had no idea where to begin. I started with her own greatest hits collection Tales of a Librarian, but it turned out to be a pretty terrible collection for a newcomer, and then got her box set A Piano: The Collection, but that was 86 tracks long so it wasn’t exactly easy to digest. I ended up just going through albums as I chose, mixing in new Tori with old Tori, but there’s never been a Tori collection that I feel really encapsulates her entire career and gives newcomers a good place to start. Kate Bush is an even more difficult situation, because she has only one small greatest hits collection, and it’s from halfway through her career, with only a few of her best songs on it, plus the audio quality is pretty bad because it’s never been properly remastered. Her box set This Woman’s Work contains almost all of her albums, plus B-Sides, but that’s not a very place to begin either. So, I’ve had a lot of fun organizing playlists to create fake Greatest Hits albums for artists I like. Sometimes I keep them in playlists, and sometimes, like recently, I actually create disc-length mixes and give them their own album in my library. I’ve had so much fun creating these that I decided to share them with you, and hey, if you’re a newcomer to these artists, you can feel free to use these as a place to begin! As it happens, I kept them all within standard CD length, so they should all be mixes you could burn to a physical CD if you like. I based this collection on “the essential” album series. You’ve probably seen them in Wal-Mart or other stores before: they always have a black and white cover, with white and red font, and usually contain two discs, spanning an artists entire career, in chronological order. If you’re unfamiliar, take a look at The Essential Heart, The Essential Sarah McLachlan, the Essential Sade, or something like that, and you’ll see what I’m talking about. I actually really love this image of Tori, it’s from The Beekeeper era tour book, and it was used as the album art for A Piano The Collection’s bonus DVD, but I think it works perfectly for something like this. I also looked up the actual font used on the cover of “the essential” series and used it on this photo, so I think it actually came out looking pretty official. The selections span Tori’s entire career, mostly important singles or landmark songs, although there wasn’t room to include any B-Sides because of the limitations on length, but I think that for a 2 disc collection of an artist who’s released 15+ albums, I did a pretty good job. Track listing is below. 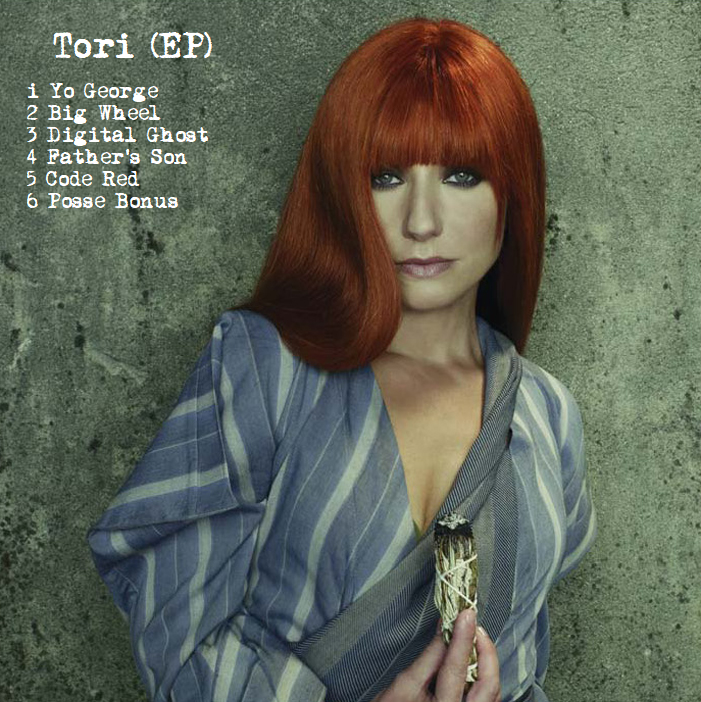 Tori’s ninth album American Doll Posse is told from the point of view of five personas, representing different elements of the divine feminine, and utilizing goddesses from the Greek pantheon. The album is great but suffers from being a little too long, simply because of the album’s variety. Tori herself commented on it “Either I was making five seperate albums, or I was speaking with different voices.” So these fives voices are all jammed together as tightly as the one hour and twenty minutes a CD will allow, meaning that the album is more than a little cluttered. Although I think it still came out fine, the final album is 23 tracks long, which is pretty staggering. 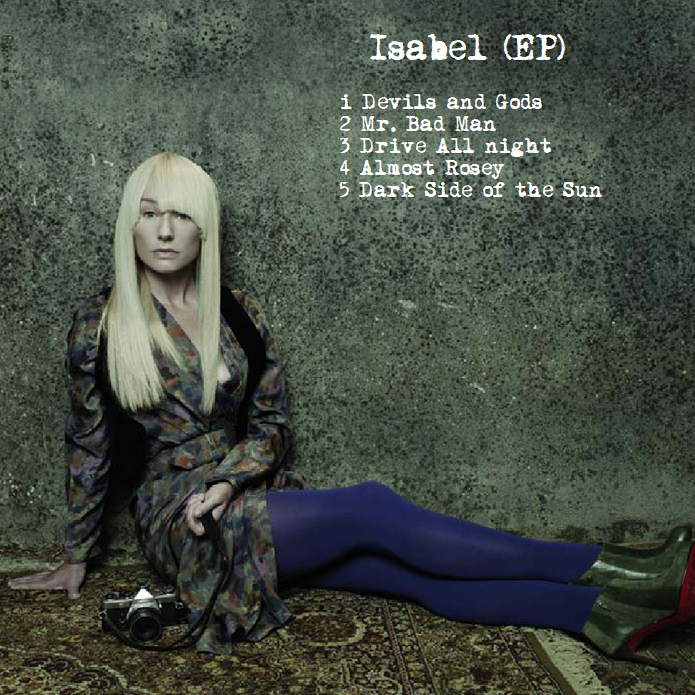 There are also three bonus tracks available on different versions of the album. I thought it might be fun to separate the songs into 5 individual extended plays based on the Posse personas. Even though I like the album the way it is, I can imagine the excitement fans would have felt as she released the five EP’s in sequence, each one about five tracks long, with fans devouring the songs, comparing the EP’s, discussing the themes present in them, and wondering what would come next. I created my five Doll EP’s just as a fun little project, and then actually made some album art for them too. 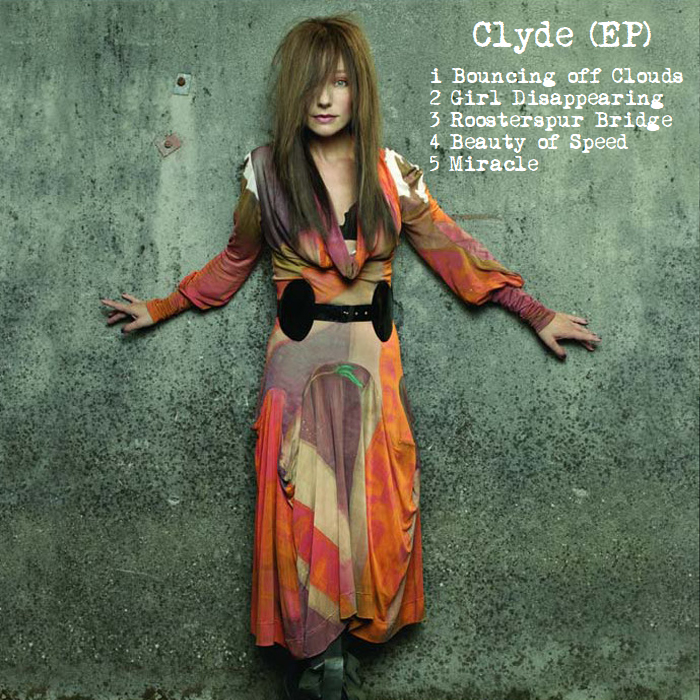 By the way, Tori’s EP begins with an Isabel song, which I chose to do because I think it’s a good opener, and Isabel already has another “interlude song.” Clyde is the only one who didn’t get a brief opening song. You really can’t be a fan of Tori Amos without hearing Kate Bush’s name bandied about. There is an unfortunate tendency in music reporting to compare EVERY female singer-songwriter (particularly the quirky eccentric ones) to Kate Bush, and to a lesser extent, Tori Amos herself. 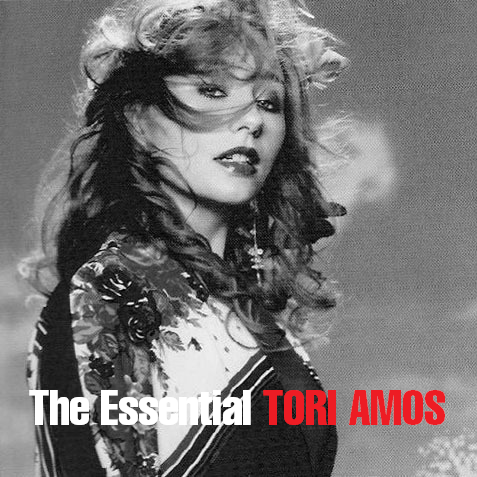 The way in which I first heard of Tori Amos was through reviews of Evanescence’s albums comparing Amy Lee to Tori Amos (the only real connection between them is that they’re women who play piano and sing, sometimes about dark and gritty subject matter). Then, when I got into Tori, I couldn’t read an interview or review of her music without hearing about Kate Bush. As it happens, despite this weird tendency in music journalism to compare every woman to the same two women who came before them (as though there can be only one weird alternate female singer-songwriter), as opposed to men who do NOT all find themselves being compared to David Bowie or Prince, it is for the best that I learned about these two women, as their music is not something that should be missed. Kate Bush’s catalogue, like Tori’s, doesn’t offer a lot of easy entry for newcomers. You can ask around and you’ll probably hear that the best place to begin is Hounds of Love, as it’s sort of the midpoint of her career, combining the quirky weirdness of her first three albums with the pop sensibility and melodic hooks of the next three. 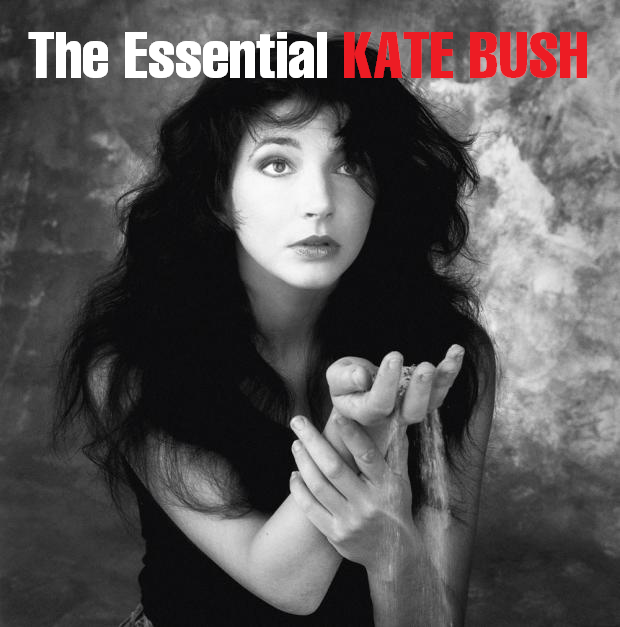 I decided to try and put together a two-disc Essential Kate Bush, and I’m pretty proud of it. A lot of things had to be left out (I struggled over how and whether to include Un Biser D’enfant, Army Dreamers, and Hounds of Love), and the latter half of her career is difficult to represent because most of her newer work is very lengthy. As a consequence, disc 2 is a lot shorter and spans less material, but overall I’m pretty happy with how it came out, even though I had to leave out a couple of her duets and most of her soundtrack songs (I included Lyra though, because it’s never been included on any of her official collections, due to coming out after the release of her box set. That’s all for now! I’ve got a lot of exciting stuff I’m planning to write and post about soon, so I hope to have more to tell you all soon about life, projects, and what I’m up to. Happy listening!